Why studying Ecology is important? In other words, all the organisms, irrespective of their size, species and place they live, need to interact with neighborhood in order to survive and ecology is the scientific study of interaction of these organisms and environment. The word Ecology is derived from two Greek words, i.e. Oikos meaning habitation and logos meaning study or discourse. Thus, ecology is the study of habitation of organisms. The study of Interactions between organisms and other organisms, organisms and their environment. The word “Ecology” was coined by German scientist named Ernst Haeckel in the year 1866 and the Alexander von Humboldt, the German explorer is considered as Father of Ecology. Humboldt was the first to study the relationship between environment and organisms and exposed the existing relationships between plant species with the climate. He also explained vegetation zones via latitude and altitude and this discipline is now referred as geobotany. A cactus in the middle of desert draws nourishment from ground and air. It depends on sunlight for energy required to grow. 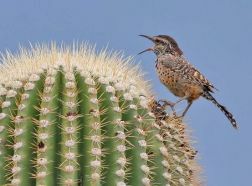 This cactus may be home for lizards, birds and some microscopic animals. Here, air and water are the elements of physical environment that impacts the growth of cactus. At the same time, it releases oxygen and water-vapor into the air, thereby changing the composition of the surrounding atmosphere. The cactus also provides shelter, food and shade to several animals living nearby. Hence, it can be said that the cactus interact with different organisms and environment in different forms and this is referred as Ecology. Several practical applications of Ecology in community health, natural resource management, basics, economics and applied science, etc. It is the science that explains the relation of species with the environment whereby people are able to preserve several types of habitats and biodiversity. Lack of understanding of ecology may result in degradation of environment and land which is the home of several species. The study of ecology can help in preserving and conserving endangered species like white shark, sperm whales, black rhinos, etc. Ecology involves the use of several laboratory experiments and scientific methodology that help in understanding different organisms as to how they grow and populate; how do they adapt to change in climate; how do they interact with other organisms, etc. This study helps in better resource allocation such as minerals, environment, space, air, etc. Thereby, preventing from deprivation. 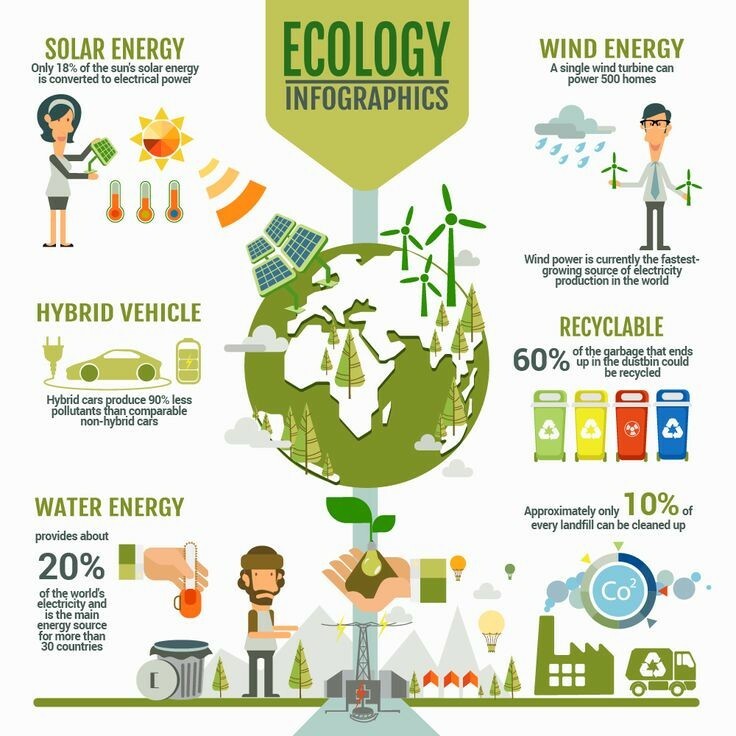 The study of Ecology helps in improving the energy conservation, failing which, may result in destruction of the energy resources leading to competition, scarcity and exploitation. It helps in establishing harmony amongst different living organisms. Ecological concepts when applied to forest management, helps in maintaining healthy forest ecosystems in certain types of forests. 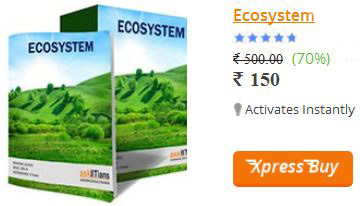 The awareness of the concepts of ecology helps in finding the agricultural solutions. It includes the technique referred as biological control via which it is able to identify and control natural enemies and predators of pests, thus, preventing the crops from any sort of damages. Organism Ecology - It includes the study of the response of different living organisms to the changes in the physical environment. This change in environment result in changes in behavior or physical attributes of the organisms. For instance, an animal will escape if the changes are not friendly. At this level of Ecology, the main objective is to study the adaption of organisms towards living and non-living components of the environment. Population Ecology - All the organisms, either big or small, grow and die. A population refers to the group of individuals belonging to same species living in similar environmental conditions. The manner in which they populate depends on their birth and death rate, size of colony and the population growth rate. In the environment, “survival of the fittest” is best implemented, whereby organisms that are able to adapt in best possible manner, are able to survive. Community Ecology - All organisms interact with each other and exist in certain flora and fauna. In Ecology, either food-chain or food-web exists that explains the role of organism in the ecosystem. Whether it is a predator, or a parasite or a food source, all play an integral role in maintaining and establishing community. Ecosystem Ecology - “An ecosystem is a community of living organism i.e., animals, plants and microbes together with abiotic components of their environment (such components include things like water, air and mineral soil) interrelating as a system.”  This type of ecology includes the study of certain processes that link living and non–living components. All living and non-living things interact with temperature, atmosphere, water, energy sources etc. in order to regenerate, recycle, production or consumption. This helps in ensuring the flow of energy in harmony. 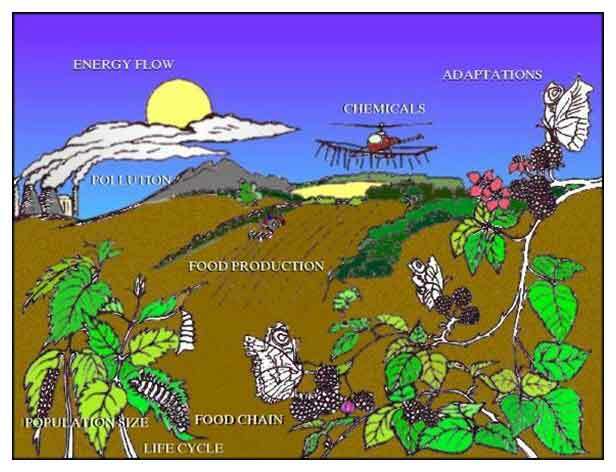 Global Ecology - This Ecology controls the usage and allocation of resources worldwide. Q 1. What is the role of Ecology in our lives? Sol. The information we gather after studying Ecology helps in understanding the world around us. This information helps in improving the environment, protect human health and enable us to take suitable steps to manage the natural resources. The knowledge of Ecology has positively influenced our lives. For Example, in the year 1960, several ecological researchers found that usage of laundry detergents and fertilizers are resulting in poor water quality and this on the other hand, has negatively affecting the aquatic life in lakes and other water sources. With the help of this information, we are now able to take steps to restore the lake community and quality of water. Q 2. How is Ecology related with other disciplines? Sol. Ecology is closely related with several other biological disciplines like earth science, evolution, physiology, genetics and evolution. It is also related to chemistry, demography, climatology and physics. Thus, Ecology can be considered as multi-disciplinary science. Q 3. What is the scope of Ecology? Sol. Ecology can be studied at several levels, from nucleic acids and proteins, organisms, cells and finally at the level of communities, population and the entire ecosystem. Since, Ecology focuses on broadest level of life along with inter-relationship between environment and living beings, it draws several concept from other branch of science like physics, chemistry, meteorology, geology, geography, etc.